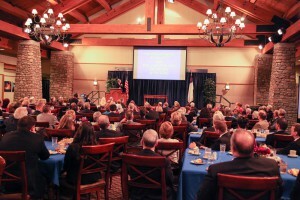 An extraordinary, nationwide prayer initiative was birthed on March 7, 2015 at the historic LIFFT America Religious Liberty Summit in Charlotte, North Carolina, convened by the Congressional Prayer Caucus Foundation, along with Congressman J. Randy Forbes and Senator James Lankford, co-chairs of the Congressional Prayer Caucus. 16 members of congress and 36 state legislators -representing 25 states – gathered to coordinate a tactical strategy to effectively challenge the growing anti-faith movement in our Country. The consensus among participants was that people of faith can no longer sit idly by and passively watch as our nation’s history, and Judeo-Christian heritage are being rewritten with a false narrative. As the first unified step together, these government leaders are passionately calling on God’s people to unify with one heart and one voice to pray and take action for the United States and those who lead her. 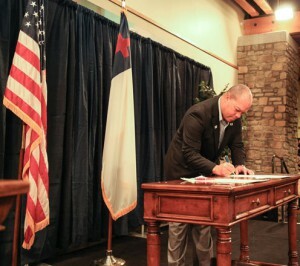 In a solemn and historic ceremony, all who were present signed a Call to Prayer for America Proclamation. Hundreds of government leaders and thousands of citizens have already answered the call and signed the Prayer for America Proclamation. But that is just the first step. Now congregations everywhere are scheduling time on Sunday morning to have an elected official read the Proclamation, play the 3-minute PrayUSA video and allow their congregation to sign the Proclamation. Through the PrayUSA: Government Leaders Calling the Nation to Prayer Initiative we are believing for God to set churches on fire across the Country. 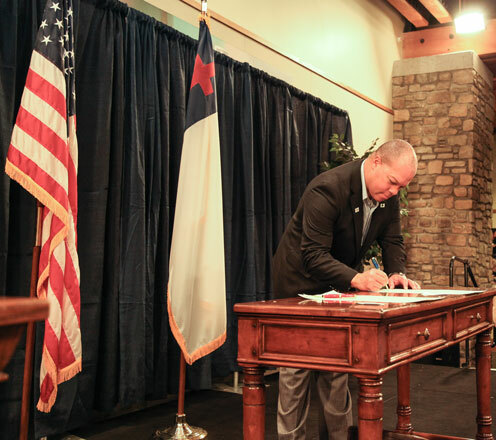 Government leaders and pastors standing together in the church will help break the back of the lie and misapplication of the “separation of church and state” which has hindered Christians from expressing their faith in the public square. If people of faith believe that freedom is secured through Judeo-Christian values, then it is time to wake up, stand up and speak up! The concerted effort to secularize America has eroded our nation’s spiritual foundation, assaulted our natural rights and nearly silenced Christians with threats and intimidation. This is not a cause for pulling back—this is a call to action! It’s time to reclaim our heritage and for the nation to recognize that people of faith care about what’s happening within our culture, about our beliefs and values—millions of us! It’s time to send a wake-up call to the halls of power, as well as to the person next door. It’s time! During some of his darkest hours, President Lincoln confessed, “I have been driven many times upon my knees by the overwhelming conviction that I had nowhere else to go.” We are confident we will experience a renewed hope…a strengthened resolve…a sharpened focus…a bold declaration and an energized movement!